Space Engineer, some (some would say many) suggestions for this amazing program. I hope you can implement them, as they are somewhat simple (compared with some longer term ones like procedural biospheres, etc). Adding a planet thumbnail when right clicking in a context menu (which could be used for other things) or by some other means would be nice, as it would spare opening the solar system browser to see some obscure moon before going there. It could be a small floating window like the one in the system browser but a little bigger. It could also be used to see stars, black holes, galaxies, starships... in short, any selectable object (should have called it object thumbnail). When selecting a planet, it doesnt show up in the solar system browser. Is this intentional? If its not, it should be an option. Some times I want to see all the moons of a gas giant, and in multiple system it is a chore to navigate with the star sytem browser (specially when there are many similar planets). When in widescreen format, the map window is smaller than the actual space engine window. Because of that, the orbits are cut in an unseen line. Either adapting it to widescreen or adding a frame around it would solve the problem. The planet thumbnail idea would also be useful combined with the map. Also, instead of moving the map itself around the screen with the NUMPAD keys (tilting and rotating would remain unchanged), you should move your point of view in the map with the movement keys and keep the NUMPAD for rotation as in normal view. Instead of the map moving to the left, it should remain centered, and instead the stars in the map move to the right. That way it would be much better to navigate. The center button could be used then to return the map to the position where you actually are. The map should also use a function of zoom and star density (I guess the star density in a given area of a galaxy is easily defined) to choose a magnitude threshold. It could then discard dim stars so that the map screen isnt flooded with stars when the zoom is at the 100-1000 parsec range (which makes the map useless); in high density areas only brighter stars would be shown, while in sparsely populated areas you would see more dim stars so you can catch solitary suns. The labels, lines, orbits, grids, etc should have less color and be darker the farther they are from the view and the opposite with the nearer they are; as it is now sometimes it causes depth illusions like the ones with isometric wireframe cubes. This effect could be subtle, and adding it would give the user more awareness of the positions of each object. It seems that occlusion culling is not used when calculating auto exposure. If a planet stands between the camera and the sun, the engine uses the sun light to calculate it, with the result of no stars in the background. This happens more when in space than in the ground. Occlussion culling is already used for lens flares, couldnt it be used for this too? I have noticed that the star lens flare is only visible if the center of the star is too. Would it be too resource intensive to use a circular silhouette (calculated by the distance to the star and its size) to check the star visibility? As it is now, half a red giant can peek over the horizon or in an eclipse and no lens flare is seen. The lens flare size would depend on the circle area exposed, and its position on a rough estimate of the barycenter of that same area. I think this option should have a slider, interpolating between totally realistic and the disabled state, as some outer gas giants are too dark for my tastes (like saturn for example, I think many people like it slightly bright) but still want to see the scorched planets and the dark far away worlds. This is more a bug fix request than anything... When the star is very bright, the light "blob" takes a square shape. I really like this feature, but that bug forces me to disable it. As with real planet brightness, it would also be nice to have a slider for this effect; as I would like it a bit less realistic to distinguish better the star color. I supposse this is already planned as it is used in rocky cliffs, but Ill say it anyways... mountain snow should be weighted on function of the slope and height of the terrain, so that mountain peaks had more areas uncovered than valleys. Why is the camera height restricted to 10 m above the ground? I would like to see the terrain as an human would (now I have to imagine myself on a medieval siege tower), so 1.8 m would be a lot better. Is it too much for the collision engine? Isnt there a way to keep the last camera position and configuration even in the event of a crash? I dont get why the configuration is lost, isnt it written into a file? And isnt it possible to execute a saving function for the camera position and orientation when space engine crashes? Adding an option to turn the camera with the mouse without having to press the left mouse button would be useful. This would make continuous travel easier (and more relaxing for the hands). This is the biggest of my suggestions. I have an idea for a new camera mode: the "planetarium" mode (if its already there I havent seen it). This mode would be switched in the control bar like the free view or spacecraft mode. I think it is very important for this or something similar to be developed. It would only be selectable when you are near a selected planet (or star, or moon...). When it is activated, the camera turning (with both mouse look and NUMPAD) and the camera movement would both change. The mouse look and NUMPAD would change their rotation planes. Instead of being two perpendicular planes of the "screen", which make the camera turn left, right, up and down according to the current direction, it would turn along the tangent plane to the ideal sphere at the current position, and along the perpendicular plane to it that includes the line between the planet center and the camera position. This is almost the same as before, but avoids the camera tilting that happens when, for example, you look down and then right. And that really complicates things when I try to have a good look at the night sky. In short, it would be like a normal telescope... or a space telescope if you are at orbital altitude. The movement keys (WASDRF) would control the spherical coordinates of the camera with the origin located at the selected planet center. A-D would control longitude, W-S would control latitude and R-F would control altitude. The altitude would never change unless you collide with the terrain. It could also be set up so that the longitude-latitude movement is done with the right mouse button and the relative to the camera movement with the WASD keys, so that movement along planets surfaces can be done with mouse and keyboard just as with any first person game. Tilting the camera with Q-E would not affect this movement, as the spherical coordinate system is fixed with the planet, so the tilting action would remain unchanged. As a last thought, the "planetarium mode" button could have two states which would cycle, surface mode and free altitude mode. The icons could be a semiespherical grid over a terrain shape, and a spherical grid over a planet respectively. This would allow the player to roam around the surface to find the spot he likes the most without having to keep F pressed. The surface mode combined with locked left mouse button would give a first person game style to your travels, if you chose a low enough speed. Hello Tspk91, welcome to the forum. I don't want to comment on all of these issues as I think that SpaceEngineer should do that, but I do have a couple of short comments. This would be class "Ice world", which already exists. This is due to a limitation in the current version of the engine. It will be corrected in a future version. Yes, but earth probably was covered in snow and ice while located in the habitable zone. That is what I havent found yet, and with the real planet lighting all ice worlds (in the style of hoth from starwars) are dimly lit. 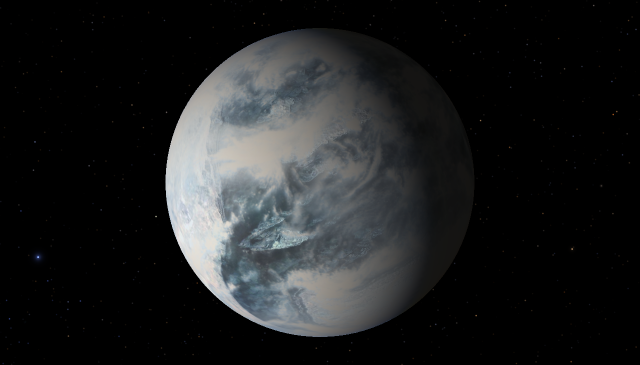 Also, the snowballs I was talking about arent exactly ice worlds; for example, it could be that snowy latitudes reach almost the equator but oceans arent totally frozen in some planet. If I am mistaken or it is already in the program, nevermind. Yes, but earth probably was covered in snow and ice while located in the habitable zone. Also, the snowballs I was talking about arent exactly ice worlds; for example, it could be that snowy latitudes reach almost the equator but oceans arent totally frozen in some planet. As for real planet brightness, I find it useless myself since auto exposure adjusts itself to the lighting of the planet, so the real planet brightness just makes it look odd and unrealistic, regardless of exposure settings. Hmmm, I dont know if bumping threads like this is allowed, but Im doing it only because I updated the post and added a some new sections and a new camera mode idea. Map are great but the view are too limited, and the planet surface camera are really frustating to use. I think the way outerra done the camera at surface are a good exemple to redone in space engine. I really like to "feel" the size of planets by running or walking at surface. There is a way to lock the left mouse button right now, though it's a bit goofy and more of a bug then a feature: Hold the left mouse button in SE and look around a bit. While holding it, press alt+tab to switch to another window. You'll find your mouse pointer is stuck to the centre of the screen in this window. Let go of the mouse button and switch back to SE with alt+tab: now your mouse is directly bound to the camera until you click with it again! You can use the same trick to perma-turn on any key (making constant acceleration without pressing W all the time possible, for example). Planet thumbnails and right click context menu: Adding a planet thumbnail when right clicking in a context menu (which could be used for other things) or by some other means would be nice, as it would spare opening the solar system browser to see some obscure moon before going there. It could be a small floating window like the one in the system browser but a little bigger. It could also be used to see stars, black holes, galaxies, starships... in short, any selectable object (should have called it object thumbnail). Do you mean a floating version of solar system browser called on right-click? Solar system browser: When selecting a planet, it doesnt show up in the solar system browser. Is this intentional? If its not, it should be an option. Some times I want to see all the moons of a gas giant, and in multiple system it is a chore to navigate with the star sytem browser (specially when there are many similar planets). I tried to do that, but has end up with some difficulties, so I has leave the attempts for now. It was before 0.95, so I may return back to this idea. Map is at first stage now, and have many things not yet implemented. Remember the evolution of the Solar system browser All or almost all things that you suggest will be implemented in a future versions. Auto exposure: It seems that occlusion culling is not used when calculating auto exposure. If a planet stands between the camera and the sun, the engine uses the sun light to calculate it, with the result of no stars in the background. This happens more when in space than in the ground. Occlussion culling is already used for lens flares, couldnt it be used for this too? Occlusion culling is not used in SE, lens flares uses another technique. Autoexposure is based on summing of total brightness of all objects on the screen. Eclipses should be taking in account too, maybe it is a bug or you have eclipse shadows disabled? Lens flare: I have noticed that the star lens flare is only visible if the center of the star is too. Would it be too resource intensive to use a circular silhouette (calculated by the distance to the star and its size) to check the star visibility? As it is now, half a red giant can peek over the horizon or in an eclipse and no lens flare is seen. The lens flare size would depend on the circle area exposed, and its position on a rough estimate of the barycenter of that same area. I thought about that. But SpaceEngine already have too many settings, isn't it? Well, snowball oceania is an ice world, but snowball terras is on my plans. Implementing of them requires more complex climate calculation as used now in SE. Slope dependant snow: I supposse this is already planned as it is used in rocky cliffs, but Ill say it anyways... mountain snow should be weighted on function of the slope and height of the terrain, so that mountain peaks had more areas uncovered than valleys. Minimum camera height: Why is the camera height restricted to 10 m above the ground? I would like to see the terrain as an human would (now I have to imagine myself on a medieval siege tower), so 1.8 m would be a lot better. Is it too much for the collision engine? 10 m is a distance to the near clipping plane. If you set the landscape collision height lower than 10 m, you will see the hole in the landscape under the camera. This is limitation of current implementation of landscape engine. By the way, collision height can be adjusted somewhere in the config. Crash-safe camera and configuration save: Isnt there a way to keep the last camera position and configuration even in the event of a crash? I dont get why the configuration is lost, isnt it written into a file? And isnt it possible to execute a saving function for the camera position and orientation when space engine crashes? I don't use the crash event hook, so I cannot save the user position after the crash. However, 90% of the crashes is caused by memory manager overflow, this event is used to save the camera position, and sometimes "rescue" the user. Locked left mouse button: Adding an option to turn the camera with the mouse without having to press the left mouse button would be useful. This would make continuous travel easier (and more relaxing for the hands). How will you select stars, planets etc? And how you will use interface? I tried invert left button state (i.e. press left button to stop rotation and show the cursor, release to select and/or start rotation), but found that inconvenient. New camera mode: This is the biggest of my suggestions. I have an idea for a new camera mode: the "planetarium" mode (if its already there I havent seen it). This mode would be switched in the control bar like the free view or spacecraft mode. I think it is very important for this or something similar to be developed. I thought to make some programmable control modes, because there are huge number of possible modes that was (and would be) suggested. You may count yourself: inertia or free flying with inertia or free camera in aircraft or spacecraft style rotations, with or without roll locked to horizon, with or without altitude locked to surface, etc. I count 2^5 = 32 modes So maybe the better solution is make 10 "slots" for custom control modes, each of them can be configured in a small window, and binded for keys 1, 2, ... , 9, 0. Or something like that, yes. It doesnt have to be on right click. Now that I think of it, it would have the same function of the system browser with the feature you said gave you problems. Well, changing tick boxes to slider doesnt count as more settings, its just more depth; if you counted each position of a continuous slider then it would count for hundreds and I just like sliders. Well, in any case Im sure you will add it again someday when you get a better way of doing it, because now snow is placed in strange places (like half a mountain). Well, to be honest that doesnt make much sense to me ... what sense would inertia have with roll locked to horizon, when you use it, it is to feel like a spacecraft. Or altitude locked to surface, with airplane movement (runway simulator )... another problem would be that some of the options would only work near planets, so it would be confusing. I still think that a planetarium mode would be the best. Doesnt have to be as complicated as I put it, just roll locked to horizon, and movement relative to the planet. I mean, right now spaceengine is mostly a planetarium, and its a pity that you cant look comfortably at the stars. Well, the problem is that when I look to a planet between me and its star, it takes into account the light of the star as if there was no planet. This only occurs with diffraction spikes on. If you turn them off then moving behind a planet will then show the stars. Not sure why though. I mean, right now spaceengine is mostly a planetarium, and its a pity that you cant look comfortably at the stars. With planetarium I mean looking at things in space, and now it is mostly about that. You can look at them from many places, and at many times, but as far as I know the spaceship mechanics are pretty much in alpha. I dint mean a fixed ground planetarium to look at the stars, just that part of exploring the universe is done from the ground. As exploring the universe is what this program is mostly for at the moment, that it lacks that feature is a pity. Ah I see. Well that's true; that's also why the only game mode in the menu right now is "Planetarium"